This buffalo horn choker has 4 rows of buffalo horn beads interspersed with silver colored beads with black deerskin spacers. 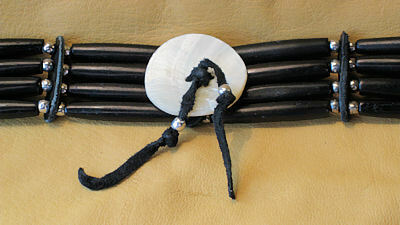 This unisex bone choker has a circular abalone medallion centerpiece. Black leather neck ties. 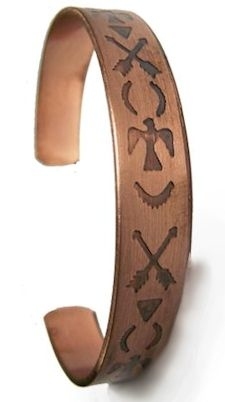 This bone choker is approximately 12" long, not counting the neckties. This product was added to our catalog on 07/25/2017.